Podtrac's ranking of top podcasts for 2017 is based on average U.S. downloads per episode across all listening devices for episodes posted in 2017. Visit our Top 10 New Podcasts of 2017 ranking. Invisibilia (Latin for invisible things) is about the invisible forces that control human behavior – ideas, beliefs, assumptions and emotions. 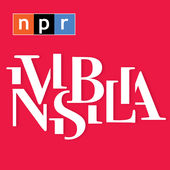 Co-hosted by Hanna Rosin, Alix Spiegel, and Lulu Miller, Invisibilia interweaves narrative storytelling with scientific research that will ultimately make you see your own life differently. Radiolab's More Perfect is a series about the Supreme Court. More Perfect explores how cases deliberated inside the rarefied world of the Supreme Court affect our lives far away from the bench. 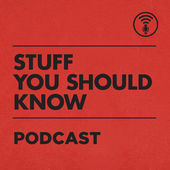 How I Built This is a podcast about innovators, entrepreneurs, and idealists, and the stories behind the movements they built. Each episode is a narrative journey marked by triumphs, failures, serendipity and insight — told by the founders of some of the world's best known companies and brands. If you've ever built something from nothing, something you really care about — or even just dream about it — check out How I Built This hosted by Guy Raz @guyraz. Podtrac currently publishes two Podcast Industry Rankings each month: the Top 20 Podcasts and the Top 10 Podcast Publishers. Our Rankings use proprietary and consistent measurement methodology to allow apples-to-apples comparison of podcast audience sizes.